It is a truth universally acknowledged, that if you are a brewer in possession of a large amount of grain, you have a rodent problem. This year was a particularly bad one for rats and mice, conditions being perfect for them to breed faster even than rabbits. 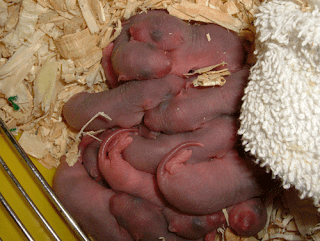 A female rat reaches sexual maturity at just five or six weeks of age, at which time she will begin to come into heat every four or five days. Once pregnant, a female rat will gestate her little grain munchers for just 22 days before expelling them, naked and creepy looking, into the world. 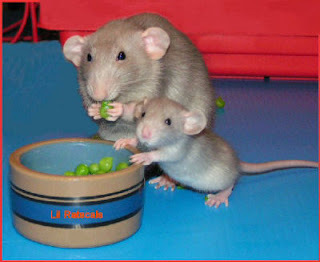 I just want to say right here, that I have no problem with domestic ratties. They are quite different from wild ones, just as domestic cats are different from ferals. Domestic rats are basically the ultimate handbag dog. Cart them with you wherever you go, teach them cool tricks, gross people out by waving their tails around. Admire their surreal cuteness. But I digress. 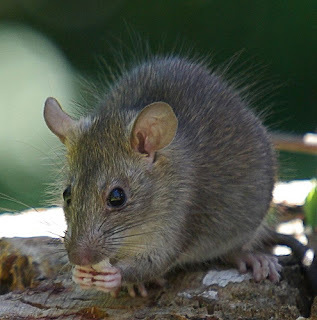 We aren't talking about people's beloved pets here, we are talking about wild rats, who have the tendency to defecate indiscriminately, raid the nests of native birds, causing huge ecological damage, and eat profits as fast as grain. So we decided it was time to get a brewery cat, preferably one who would deal to the little bastards in short order. Jerry saw a cat in the SPCA who seemed to fit the bill, and some time later, I was dispatched to collect her. She took a few days to settle in, but before long, she had sussed out that we would be feeding her delicious food and providing tummy scritches, and there were plenty of rodents for her to play with. She sure knows how to get the job done too. She catches them, plays until she gets peckish, and then just crunches up the head and body, leaving nothing but their tails as evidence of her murders in the dark. Last week I found 7 tails, and the grain store is now entirely unmolested. Here she is using a broom as an aid in the performance of her brewery duties. Welcome sweet murder kitty. May your reign of terror be long and bloody. Damn fine cat you have there, I will raise a glass to Oswin in due course. Great to see you on the blog! Congrats on the cat and media coverage- looking forward to seeing more!